Now that my very first two series are done (I will miss them!) 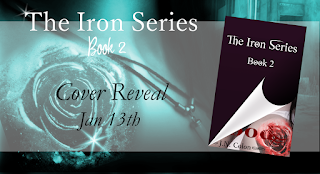 I'm ready to focus on my current one, The Iron Series. The next book will be out in February 2016. I think I originally said Dec or Jan, but well, poop happens. The cover reveal will be next Wednesday, Jan 13th and a release date soon to follow. I've already finished plot pointing the third book and can't wait to start. I love writing for Kory. She's so badass. In other news... I'll be releasing some stand alone books (at least one). I was working on one already and had to put it on the back burner. It might involve some wolfies and moonlight frolicking... and probably murder. I'll have more on that in the future.